Rock Bottom’s Smoked Chicken Tostadas are positioned as an entrée, and are hugely successful, demonstrating big flavor touches like pulled chicken, black bean-corn salsa, Mexican crema and pickled red onion. There’s a breathtaking amount of innovation on menus today, with much of it focused on small plates and shareables. And with good reason — the social, clockless menu is a game-changing trend that’s here to stay. There’s also a lot of flavor strategy being applied to the modern bowl build, which captures what today’s diners want to eat — a satisfying, often wholesome presentation with layers of thoughtfully assembled flavorful ingredients. But the entrée category is still a significant part of the menu mix for most full-service restaurants. Plate design has certainly always been dynamic, but those factors are putting pressure on chefs to rethink the composition of the plate and develop more flavor play, more textural elements. “When we’re looking at the entrée platform on the menu, we have to keep in mind that we’re a mainstream brand,” says Stan Frankenthaler, chief officer of food and beverage, brewing and strategic supply for CraftWorks Restaurants & Breweries, Inc., which operates Rock Bottom Restaurant & Brewery, Gordon Biersch Brewery Restaurants and Old Chicago. Traditional entrées generally follow a formula of a protein-centric build, with a starch and vegetable as support. Of course, a world of creativity can happen within that construct — and has for years — but today, there’s a shift in balance and makeup. There’s evidence of this modernized model across foodservice, where changing consumer demands help fuel thoughtfully constructed offerings. At Firebirds Wood Fired Grill, based in Charlotte, N.C., the new spring menu features Lemon-Basil Grilled Salmon with a lemon-basil vinaigrette and a cool salad of organic red quinoa, pearl barley, spring peas, toasted pecans, grilled corn and goat cheese. “Our strategy around dishes like this is to bring multiple components to the plate that feature seasonal produce and appealing flavor combinations,” says Steve Sturm, corporate executive chef. The attention to flavor detail that marks other parts of the menu has become an imperative with entrée development. The Lemon-Basil Salmon at Firebirds Wood Fired Grill buddies up to a flavor-forward and distinctive cool salad of organic red quinoa, pearl barley, spring peas, radish, toasted pecans, grilled corn and goat cheese. The challenge in retooling the entrée’s plate composition is keeping the value proposition intact. Diners have set expectations around entrées, wanting them to be satisfying and filling, and worth the typically higher price point than most other menu parts. The research firm’s latest data demonstrates that many consumers are open to an updated plate composition. “Based on this research, diners are telling us that they are interested in more plant-based foods and are open to smaller portion sizes of animal protein, but that premium attributes become even more significant,” she says. That principle of quality over quantity is not new in foodservice, and has been influencing the definition of value for a number of years now. With entrées, the imperative to get that equation right is crucial, balanced against the built-in expectation of a larger-sized dish. What does value look like to modern consumers? Jamie Carawan, VP of food and beverage innovation for sports-bar chain Twin Peaks, based in Dallas, worked up an entrée that expresses all of these values really well: the Adobo Crusted Skirt Steak, a grass-fed steak with smoked ancient grains, summer sauté of sweet corn and grilled okra, roasted vegetable purée and toasted chickpeas. “We went with a smaller portion of meat, six ounces, focusing on quality there while making the vegetables and grains the heroes, too,” he says. “There is a lot of attention to detail in this dish, making sure we still get high satisfaction from our guests.” And the build is still very much connected to Twin Peaks’ brand — another important consideration when exploring new strategies. Twin Peaks’ Jamie Carawan is developing an Adobo Crusted Steak, a modern entrée with no trade down: six ounces of grass-fed beef, smoked ancient grains, sauté of corn and okra, roasted vegetable purée and fried chickpeas. That notion of brand tie-in guides much of menu development, and can also help set guardrails. His challenge with entrée development, then, is a similar one faced by a large number of restaurant brands wanting to remain competitive. “The success of those dishes has to live beyond stereotypical constituencies of diners who order specifically around gluten-free or Paleo, etc. We have to hang on to who we are as a brand while moving the brand forward,” says Frankenthaler. He’s doing that with dishes that boast both broad appeal and a wholesome promise. Rock Bottom’s Voodoo Ahi, a limited time offering (LTO) rolling out later this spring, captures the idea of flavor complexity and value, with spicy seasoned ahi tuna steak, seared and served over seasonal char-grilled vegetables with red rice, then topped with warm vodka-jalapeño salsa, crispy tortilla strips and fresh lime. The Citrus Steak, another upcoming LTO, features a 5-oz. citrus-marinated steak, char-grilled and topped with whiskey and citrus herb sauces, served with char-grilled seasonal vegetables and cilantro-lime rice. “The five-ounce size gives the steak-eater a nice portion with good satiety and great flavor,” he says. He’s positioning these LTOs in the mid-range of pricing for entrées. “There’s big visual appeal with these, with components that add complexity of flavor, texture and aroma. The value perception is important, so we don’t run it in the highest price-point part of the menu.” That perception — where value is conveyed through quantity — is also shifting, guided by consumer preference and demand. “Guest behaviors and preferences are changing, so it’s important to keep an eye on your current loyal guest while trying to reach for new ones—but understand that your current guest is changing too,” says Pam Smith. 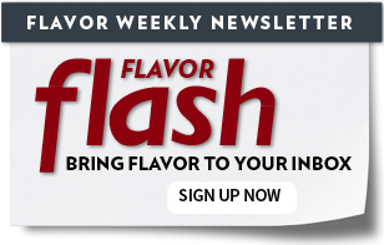 It’s not a surprise that flavor needs to stay in sharp focus here. Modern entrées have to tell a compelling flavor story that fits into the way diners want to eat. Firebirds’ Guajillo-Mocha Rubbed Lamb Chops with a red quinoa and spring vegetable pilaf, ancho demi, pumpkin-seed pesto and an avocado-coconut-lime popsicle illustrate the modern sensibility. The grains in the dish help add dimension. “We’re looking at grain salads to help us with entrée development because they let us feature seasonal products and help us get different textures on the plate,” says Sturm. Firebirds Wood Fired Grill’s Aussie Guajillo-Mocha Rubbed Lamb Chops entrée demonstrates a modern approach, with flavor punches throughout the build, including a pumpkin-seed pesto and ancho demi. That translates into serious attention to detail. At Rock Bottom, an entrée offering of Smoked Chicken Tostadas is a thoroughly modern dish with layers of flavor, featuring pulled chicken, pepper Jack and grilled onions, topped with guacamole, romaine, black bean-corn salsa, pico de gallo, pickled red onion and Mexican crema. “It’s been a top seller since we introduced it,” says Frankenthaler. Thoughtful menu strategy is so important, with consumer expectation at an all-time high. Designing modern entrées that can stand toe-to-toe with the other innovative parts of the menu helps give your guests another reason to visit. “We’re in a battle for share,” says Frankenthaler. One Step Better For You How are operators taking the healthfulness of their menus to the next level?